We went out to Elliott Caine’s pad in South Pasadena last night, like we do every year. We cover the door while he and Lei take the kids trick or treating. South Pasadena–as old as it gets in Southern California, full of Victorian homes–is Halloween heaven (now there’s a concept). All the houses are tricked out in ghoulish finery and kids are drawn from all over like moths to flame. They come in a trickle at first, then grow from bunches to throngs to armies to a vast herd of tiny little princesses two feet tall and rangy punk rockers in old Thrasher t-shirts and all the leggy moms herding them along. Trick or treat they all yelled, over the crazy screeching free jazz Elliott had put on–I remember a little bumble bee dancing to Ornette–and Fyl and I took turns dropping in a Snickers or Reeses or Butterfinger or whatever. We had more than enough candy, we thought, twenty bags full–about twenty pounds of it–but we didn’t, and after dropping them singly into an endless array of paper bags and pillow cases and plastic pumpkins, we were wiped out before 9 pm. Elliott Caine had already returned before then, exhausted. It’s crazy out there he said, giddy with it all. I dropped in the last few candies and apologized to the line of little ones that we were out. You try saying that to a pair of four years olds in matching Superman outfits without feeling guilty. Their mom smiled and walked them off to the next place. I would have given her two candies. Though I gave the dads candies too. Empty of treats, we turned out the lights and blew out the jack o’ lantern and turned off the flapping bat with the glowing red eyes and shut the door. In the dark, ghostly, the armies of the night shuffled along, little ghouls and cowboys and monsters and superheroes. Elliott’s kids, home and exhausted, were packed upstairs to bed, and the neighbors departed with their own sleepy broods. The music had gone from screaming to swinging–Miles, Dizzy, Lee Morgan–and the air turned sweet and fragrant, the brandy was good, the beer cold, the pizza cold too. We talked of jazz and everything else late into the night and on into All Saints Day. Yawning. Time to break it up. As we drove home, grown up ghosts and monsters and super models and a Donald Trump or two walked unsteadily down the sidewalk. I’ve never been much for grown up Halloween myself, I like to see all the kids in costumes. They’re mostly handmade now, little hand sewn princess outfits or zombie get ups made from shredded hand me downs and liberally applied make up. I like it better that way. As I drop candies into the bags it took me back to frosty harvest nights in Maine, the moon full, a chill wind blowing through the leafless trees. The ancient empty house up the street was haunted, the older kids told us, and we believed them. 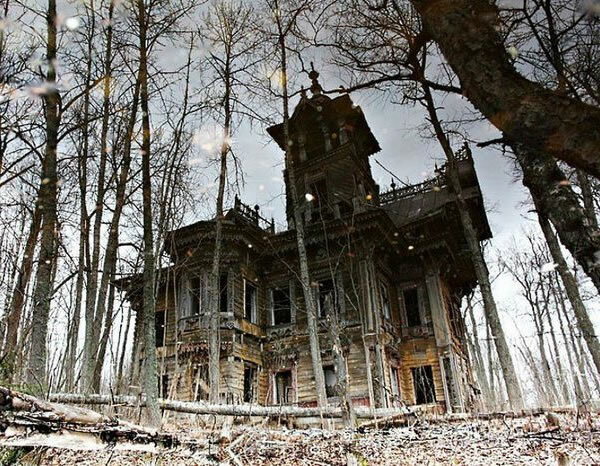 A whole family of headless ghosts lived there. They’d all seen them. None of us had, and we didn’t want to. We kept walking. There were unhaunted houses a half block up, with real people living in them, and big jack o’ lanterns out front. I tried not to look at the old cemetery as we passed it, wishing I wasn’t wearing a ghost costume. A cold wind blew across the headstones. Dead branches creaked and moaned. It was an endless walk, past the unruly dead in the cemetery, past the ancient wall, to the first house with all the squealing kids scurrying to the door. We were almost to the wall and I reached out to touch the lichen covered brick. A mistake. Out stepped a zombie. We shrieked and nearly bolted. Trick or treat he yelled, and laughed a dead man’s laugh. It was the best Halloween ever, and as I drifted of to sleep that night I thought about the Great Pumpkin (that was its first year, 1966) wishing it was real. That was our last Halloween in Maine, and not a year goes by that I don’t remember just how perfect it was.